Finding a good rental unit for a decent price is hard enough as it is without the added task of finding one that is pet-friendly, too. I can accept that not everyone loves dogs as much as I do, but does that mean they can deny me a nice apartment, charge me a fee or evict me? 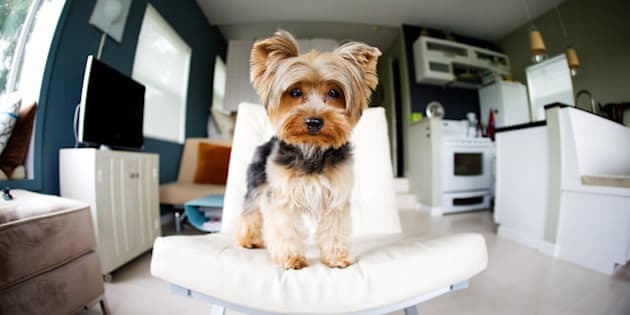 A yorkshire terrier stands on a modern white chair in a studio apartment. If you're a pet owner in Ontario, chances are you've heard somewhere that landlords can't really tell you that you aren't allowed to have a dog or cat in the unit. I myself tell people that all the time; and while it's mostly true, it's not really helpful advice. It is true in Ontario that a "no pets" clause in a lease is void (unless you're renting in a condo building where the condo's declaration forbids pets). So, if you keep quiet about your pets, sign the lease and move in with your fluffy family, your landlord can't kick you out just because you signed that lease. Landlords can, however, decide not to rent to you because you have a pet. So either you accept that and solely look for pet-friendly places, or you lie and hope for the best. Lying doesn't exactly lead to a positive landlord-tenant relationship. 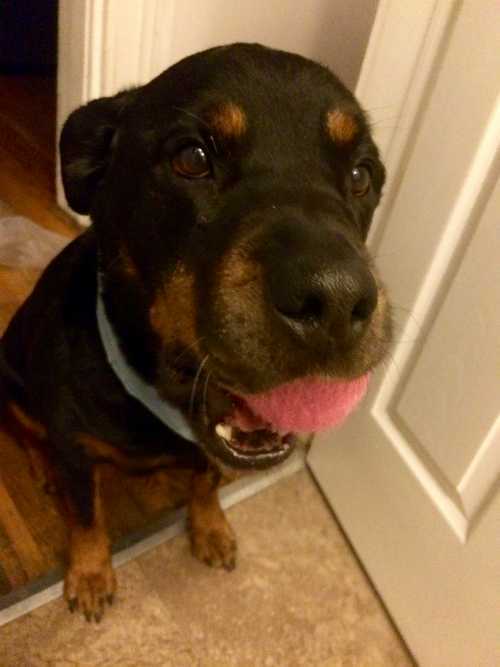 While landlords cannot evict you for disregarding the "no pets" clause, they can evict you if they are able to prove that your pet is dangerous, causing damage or interfering with the enjoyment of the landlord or other tenants. You can also be evicted if your pet is causing someone to have an allergic reaction. It works a little differently in British Columbia and Alberta. If a lease states no pets, it means no pets. If you disregard that part of your lease, your landlord can consider you in breach of your agreement and you can be evicted. In Ontario it's illegal for landlords to ask for deposits for anything other than last month's rent. I've seen puppies ruin all sorts of things from walls to carpets to stairs, so I can understand why landlords might not be too keen to take in an unknown pet without some financial reassurance. In Alberta, landlords can charge a non-refundable pet fee. This fee takes into account actual pet-related damages that could occur. It must be a reasonable amount. B.C. landlords can also ask for a pet damage deposit at the start of a tenancy but it cannot be more than half of one month's rent, regardless of how many pets the tenant has. This sets an exact amount and leaves nothing to a landlord's discretion, but given the average rental price in a city like Vancouver, for instance, the deposit can end up being a hefty one. As a dog owner myself, I might argue this could be the way to go. I know we'd all like to avoid extra deposits and fees, but maybe landlords in cities like Toronto would be more open to allowing pets if they had some financial reassurance. On the other hand, why should pet owners have to pay a fee or deposit? There are many other types of damages for which landlords don't get to take deposits -- they can't ask for a deposit if they think you'll leave water running in the bathroom or if they think you look accident prone. There's an argument to be made that my eight-year-old dog makes less mess and destroys less stuff than I did as a child. I wrote the names of all my crushes on the windowsill in my bedroom. My brother crashed through a wall while trying to slam dunk on our mini basketball net. My sister's bed frame was on wheels and she would run and jump on her bed and attempt to slide across the hardwood floor which, naturally, gouged cuts into it. Regrettably, pet ownership doesn't fall under the Human Rights Code, and so I admit it's not really a fair comparison. But still. So, where does this leave you as a pet owner and renter? Well, truthfully, probably right where you started, but hopefully now you at least know your rights and what to expect during your next search. Read the original story at YPNextHome.ca.